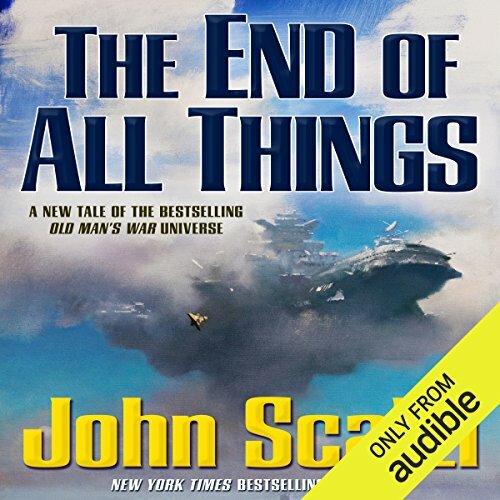 Hugo Award-winning author John Scalzi returns to his best-selling Old Man's War universe with The End of All Things, the direct sequel to 2013's The Human Division. Now the Colonial Union is living on borrowed time - a couple of decades at most before the ranks of the Colonial Defense Forces are depleted and the struggling human colonies are vulnerable to the alien species who have been waiting for the first sign of weakness to drive humanity to ruin. And there's another problem: a group, lurking in the darkness of space, playing human and alien against each other - and against their own kind - for their own unknown reasons. 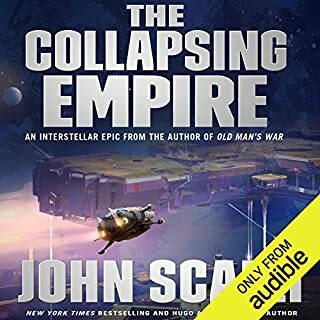 In this collapsing universe, CDF Lieutenant Harry Wilson and the Colonial Union diplomats he works with race against the clock to discover who is behind attacks on the Union and on alien races, to seek peace with a suspicious, angry Earth, and to keep humanity's union intact...or else risk oblivion and extinction - and the end of all things. 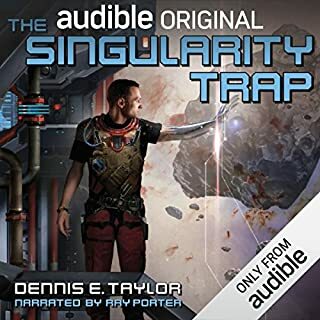 ©2015 John Scalzi (P)2015 Audible, Inc.
Love the book. Dislike Tavia Glibert, she'd be more suited to children's books. Too sweet sounding and talks too fast. Mr. Dufris did an excellent job as always. Ms. Gilbert's porrayals of male characters had an irritating qualitty as well as lacking differentiation between male characters. Hearing that performance immediately after Dufris's oustanding portrayals of the same charaters resulted in Ms. Gilbert's portions of the narrative becoming difficult to listen to. Even that disparity might have only been slightly irksome if the personal 4th wall breaking acknowledgements from Ms. Gilbert were not included between sections of the book. That sort of thing is appropriate at the end of a book but in the middle it calls attention to the presence of a narrator rather than portrayal of the characters. Those interruptions banished my immersion in the book just as assuredly a bucket of water dumped on me would have. Editing out those 2 interruptions would significantly improve the audio book. I can't honestly rate the story because all I could think about was " What happened to William Dufris "? 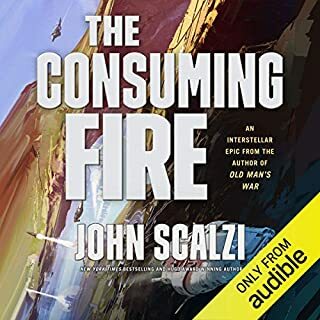 At the end of this audio edition of his latest entry in the “Old Man’s War” series, Scalzi himself comes on to say that he struggled when writing this book. I’d say it shows. This was one of the least engaging books I’ve read in a while. Broken into four large sections, each section reads like an independent novella. Although some of the characters recur, and there is an overall plot arc, each section has different point-of-view characters and explores a different slice of this universe. The novella structure was not what I found objectionable. What I found strange was that the author decided to tell so much of his story via conversations. The reader is being told, over and over, by the characters, what is going on, rather than actually seeing it happen. For instance, a large chunk of one chapter features a group of politicians arguing about politics. 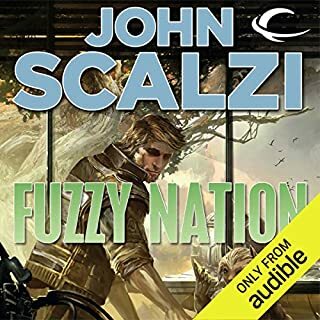 Seriously, how did Scalzi think this was a good idea? There is a reason no one watches C-SPAN. Just imagine C-SPAN in written form and you have the general idea *snore*. In another section, four or five soldiers describe uprisings that have been happening on a variety of planets. It’s pretty thinly veiled commentary on the wars going on in the Middle-East today. There’s some action, but still an awful lot of talk. The last section features—you guessed it—more meetings and politicians talking themselves and the reader to death as they try to solve the dilemma set up in the first three sections of the book. 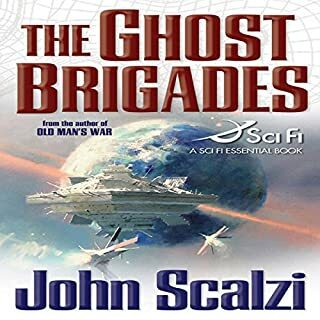 The best part of the book was the witty banter between some of the characters, notably the army grunts, but even the banter suffered from a sameness that anyone who has read a lot of books by Scalzi will readily recognize. Even the funny moments get a little boring when all the characters have the same razor-sharp wit and zing the bon mots in the exact same way. By the end of the book I was thinking if one more character said “Fair point” I was going to jump out the window. 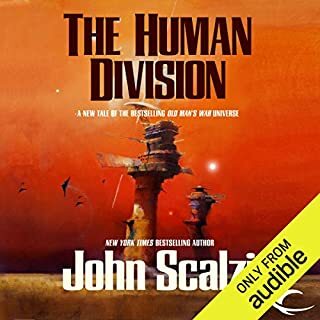 While this book pretty much completes and ties up all the loose ends to the Old Man' War series, there is an alternate version of the story that is added as a supplementary addition to the audiobook. In the authors note he mentions how he first started with the alternate story and then for reasons he doesn't explicitly explain, pretty much decided to re-write the story into the book we have now. I would say this book is a good book but felt rushed to me. Many plot lines felt forced in order to just finish the story. Some characters like General Gao and Hafde Sorval feel completely different from their constructs in the previous books. Also many of the major characters from the human division are relagated to almost background scenery. I kept waiting for one of those great/funny conversations between Hardt Schmit & Harry Wilson but it felt like while Hardt is there he almost never speaks. That's not to say it's a bad book, it is definitely above average when compared to other authors. The real problem arose for me when I listened to original story that got shelved and is incorporated as a supplementary section after the book is done. This original draft / alternate version really felt like the book we were supposed to get. It had the feel of the original trilogy and the spirit of the human division stories. 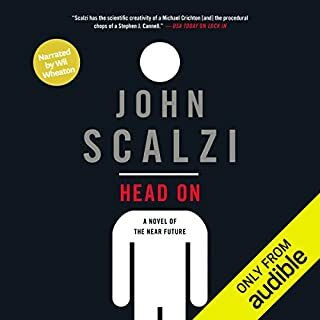 Sadly John Scalzi states in his authors notes that he has no intentions to complete this original draft/alternative version. I honestly found myself much more engaged during the supplement than any time listing to the released book. 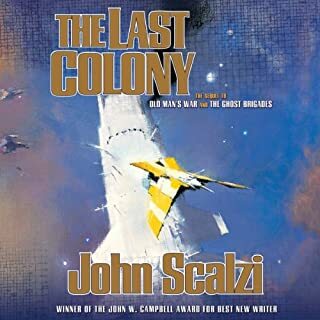 So just to re-iterate, this is a good book that I enjoyed and I'm sure if your a fan of the Old Man's War series, that you will enjoy it too, but I hope that someday Mr Scalzi changes his mind and completes the original draft/alternate version of this book because that small preview was where I found myself truly hooked. 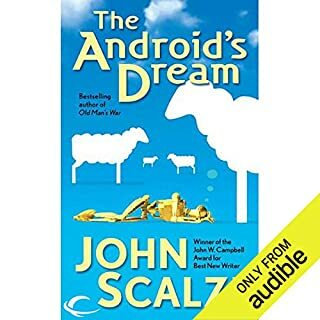 Probably the worst Scalzi story I've heard/read. Lackluster story, hugely unrealistic conclusion, awful dialogue. In my teens he was my favorite writer, I now realize that was because his dialogue is locked in the 14-16 range. 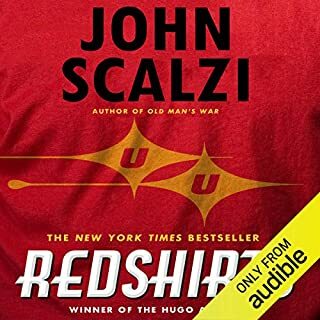 Descriptive writing is still excellent though, definitely Scalzi's strength, a shame this book was so heavily dependent on his mediocre-to-low ability to write dialogue. Expect a lot of snarky wit... From every damn character, it's like they're all clones. Narration tried hard and I thought they did well, though the quick messages to (the listener? the studio?) were weird and disrupted the flow. Very disappointed, I'd go back in time and not buy both if I could. I loved listening to Old Man's War a few years ago. Lately I've listened to some very good science fiction and raved about it. 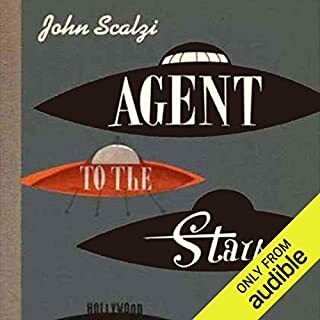 But, I was so happy being back in this universe which combines witty science fiction and great adventure read by a master narrator that I remember thinking ... I shouldn't be so happy - its just a book. Ultimately this one stands apart from some other excellent SF that has entertained me - so happiness ensued. The only criticism I have is that John had an alternate beginning for the book that he scrapped as the starting point but couldn't just throw it away. So after the story is over, we hear that "alternate universe" version that just peters out mid story. The book comes in five parts. 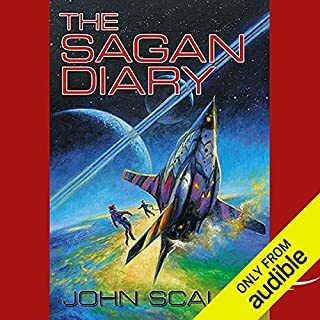 John first warns us about the alternate first chapter to be presented at the end. 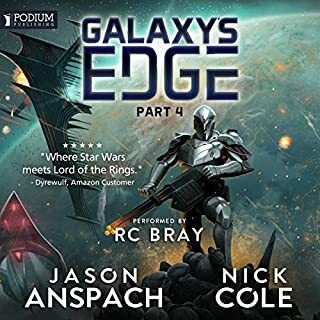 Then, William Dufris takes over and we hear Rafe Daquin's story of being captured and having his body discarded and his brain put in a box to run a ship in service to some nasty characters. 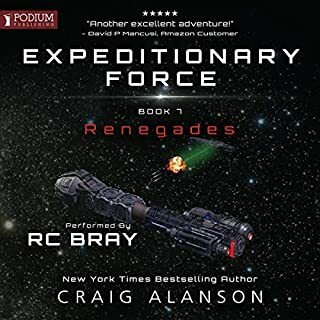 How Rafe deals with that and the exposure of a group bent on destroying the human Colonial Union, the Earth and an alien United Nations called the Conclave drives the rest of this impressive book. 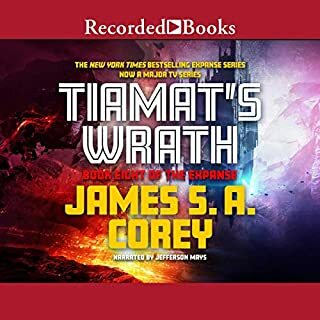 The next part is read by Tavia Gilbert and introduces us to a powerful alien player in the Conclave called Hafte Sorvalh. This dragged a bit for me because William Dufris part was so excellent - but it in the end it is necessary to give us another perspective. Dufris takes over relaying the rest of the book and I was quite satisfied with how the story was wrapped up. I purposely did not listen to the alternate first chapter right away, because I wanted to savor the ending of the book. I did the next day and actually would recommend not listening to it. 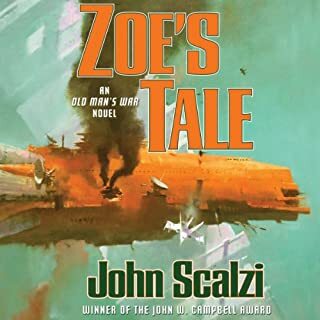 What Scalzi should have done if he wanted this alternate take would be to release this separately and finish it! That is why I took one star off for the story rating. 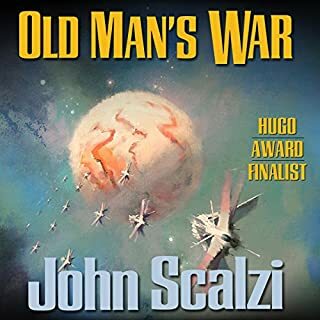 Listening to Old Man's War and the other books in this series enriches the enjoyment of this book, but you should be able to read this as a stand alone story. If you decide to start with the first book, this reviewer is envious of the journey you are embarking upon. Terrible reader in the middle of the book. Reader at first and last quarter of the book is very good. The reader in the middle of the book has such a irritating voice I could not listen. I liked this story a lot, but the second narrator was not gifted with a pleasing voice. Also it sounded like she was reading the book for first time, with little emotional involvement. Dissapoints. I had high expectations though. The rest of the series was awesome. I dont think John's heart was in this one. The ending seemed to setup a new book. Seems like this series has just become a gravy train for the writer and publisher now. Yes. changing readers mid book William Dufris performance was excellent as always. I dont know who Tavia Gilbert knows to get put in mid way through and she even threw in a self serving message between chapters her voices and pronunciation also left alot to be desired. Who would you have cast as narrator instead of Tavia Gilbert and William Dufris ? No one though I would've not used Tavia Gilbert at all. 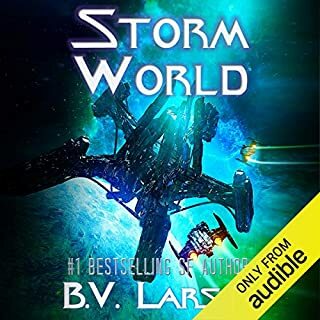 I've listened to all the books in the Old Mans War series it was a good conclusion to the series.